Η Nissan είπε να ασχοληθεί και με το iPhone δημιουργώντας την θήκη Nissan Scratch Shield iPhone για τα iPhone 4 και iPhone 4S η οποία εκτός του ότι πάνω της έχει τα διακριτικά της Nissan, διαθέτει μια ειδική τεχνολογία η οποία τις επιτρέπει να επιδιορθώνεται μόνη της αν την γρατζουνίσεις. Η θήκη είναι κατασκευασμένη από πλαστικό ABS, είναι αρκετά ελαστική με μαλακή αίσθηση gel για καλύτερο κράτημα και η τεχνολογία είναι η ίδια που χρησιμοποιεί η Nissan στα μοντέλα της από το 2005, και έχει αναπτυχθεί σε συνεργασία με την Advanced Softmaterials και το πανεπιστήμιο του Τόκιο. Η εξωτερική επίστρωση της θήκης είναι κατασκευασμένη από polyrotaxane και σε περίπτωση φθοράς, το υλικό έχει την ικανότητα να επιστρέφει την αρχική του κατάσταση, κλείνοντας έτσι όποια γρατσουνιά έχει εμφανιστεί.Η Nissan δηλώνει ότι αν η ζήτηση της είναι μεγάλη θα την βγάλει σε παραγωγή μέσα στη χρονιά. Αν ποτέ βγει, πιστεύω ότι θα έχουμε μια στα χέρια μας να την δοκιμάσουμε και να την βγάλουμε μετά σε κλήρωση. 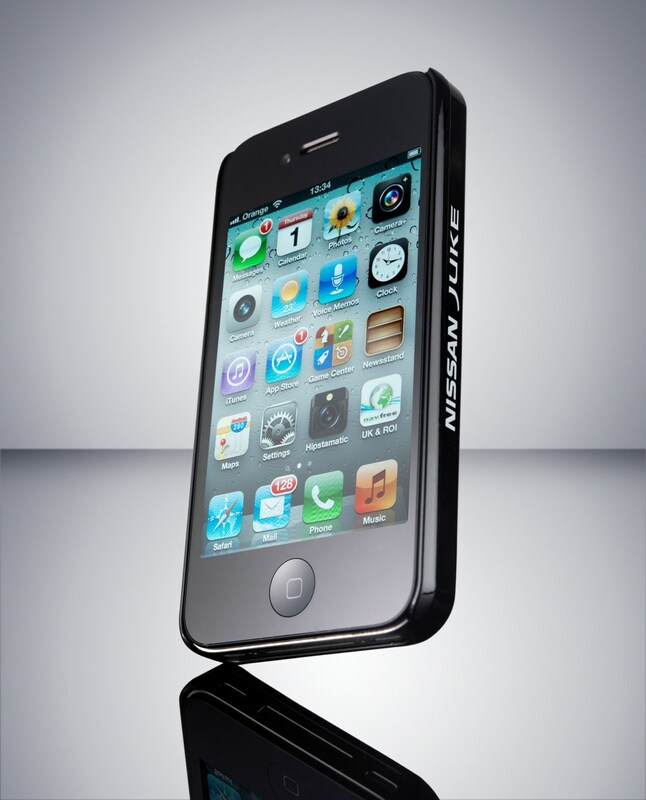 Nissan today announced the latest piece of must-have kit for the iPhone* – a ground-breaking self-healing iPhone case. The Nissan Scratch Shield iPhone case features the brand’s pioneering self-healing paint finish, a world first in paint technology developed in 2005 and already used on a number of Nissan and Infiniti models. Now this ground-breaking technology has been applied to a product that’s prone to scratches through everyday use – the smartphone – with Nissan’s new Scratch Shield case meaning iPhone-lovers can keep their phone looking at its best for longer. Developed by Nissan in collaboration with University of Tokyo and Advanced Softmaterials Inc., the unique Scratch Shield paint finish was initially designed for automotive use and is available on the Nissan Murano, 370Z and X-Trail along with the Infiniti range of products. Now, thanks to Nissan’s pioneering approach, this technology is being trialled for the first time on a non-automotive product in Europe, with the Nissan Scratch Shield iPhone case. The Nissan Scratch Shield iPhone case has been designed using several automotive engineering innovations to deliver a more durable and long-lasting paint coat, and closely fitting, tight case. The case has three key benefits: the highly flexible and elastic properties of Scratch Shield paint technology allows fine scratches to quickly mend themselves**; its tactile gel-like rather than glossy surface is more scratch-resistant than conventional paint and provides a better grip; and the case itself is made of ABS plastic – a high grade substance widely used in the automotive industry which is more rigid and robust than other plastics. The outer ‘paint’ is made from polyrotaxane, which means that when damage occurs to the coating in the form of a fine scratch, the chemical structure is able to react to change back to its original shape and fill the gap – ‘healing’ the blemish. An initial batch of prototypes of the innovative Scratch Shield iPhone cases has been produced by Nissan for BETA testing with selected journalists and customers, but if demand proves strong, it will look to put the cases on general sale later this year. Bob Laishley, Overseas Programme Director Business Development for Nissan in Europe, said: “We like to think laterally by taking the great innovations we’ve got from an automotive point of view, and looking at how they could be applied to improve everyday issues. The Scratch Shield iPhone case is a great example of us taking a Nissan automotive technology that has had a huge impact for our customers, and then shifting the boundaries to apply it to another everyday product. Nissan has been licensing its unique technologies for various non-automotive applications since 2004. Other technologies that have been licensed include its Miniature Thermal Imaging Sensor: initially designed to make driving at night safer by detecting the presence of people even in places not illuminated by the car’s headlights; the technology has been licensed to create a device which allows customers to monitor heat generation, or collect temperature readings via infrared sensor. Nissan will continue to research and develop breakthrough technologies that can benefit other industries, and promote these non-automotive applications globally. Nissan has long been an innovator when it comes to advancements in the automotive world, heralding the start of a remarkable new era in motoring when it launched the first Crossover, the Nissan Murano, followed by the hugely-successful Qashqai and recently joined by the Juke – with its innovative fusion of compact SUV and sports car styling. Nissan’s range of crossovers has since gone from strength to strength, with the Nissan Qashqai selling more than a quarter of a million models last year in Europe and the newly launched Juke having now notched-up 120 thousand sales. Built in Nissan’s manufacturing plant in the UK, these two models helped the plant break its all-time production record to build 480 thousand units in 2011. Currently the Nissan Juke-R, another Nissan Innovation combining the transmission, drive train and engine of a Nissan GT-R with a Juke, is being put to the test on the streets of Dubai. 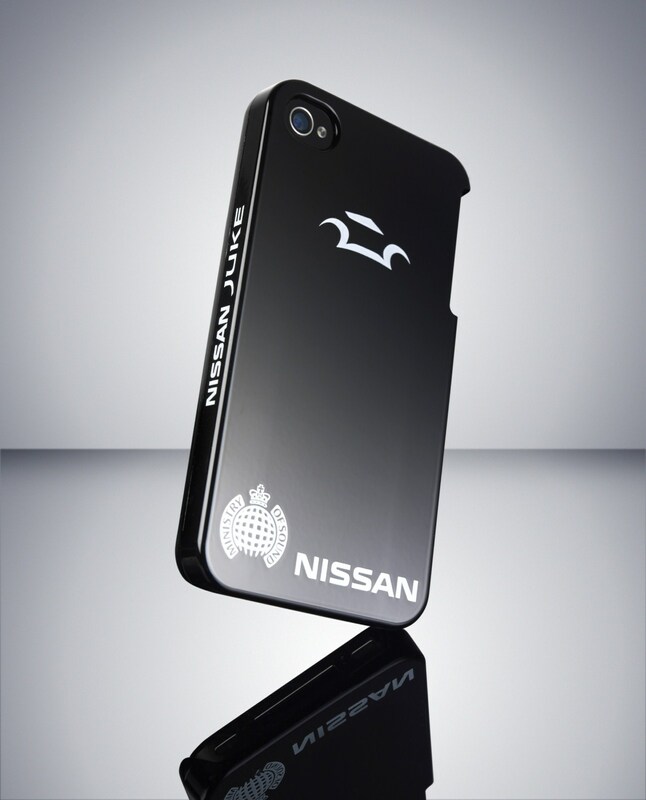 To celebrate this event, Nissan has joined forces with Ministry of Sound, who will be hosting a pre-race party for Nissan with internationally renowned DJ Pete Tong, to release the first 100 of the Nissan Scratch Shield iPhone case prototypes.